Lochside Guest House is set in the heart of the village of Arrochar with the National Park. Our Guest House is situated on the edge of Loch Long hosting panoramic views of the famous Cobbler and Arrochar mountain range. The salt marsh around the Loch is rich in plant and bird life, a beautiful scene to wake up too, while relaxing at breakfast in our conservatory. Our Guest House has recently been refurbished to very high standards, our service standards are high to ensure all our guests have a wonderful time filled with great memories. Do read our reviews on TripAdvisor. Lochside Guest House comprises of newly refurbished double, family, twin and single rooms. Our breakfast area can be used at night to relax in watch the television and enjoy your evening meal provided by Ben Arthurs Bothy next door. Our grounds are well maintained with plenty of private parking space. Relax on our decking area and take in the stunning scenery our guest house has to offer. If you are looking for adventure the Cobbler and surrounding mountain range have been one of Scotland's major attractions since the 1890s, walkers and climbers come to Arrochar all year round to climb the many mountains or stroll round the many trail within the national park. 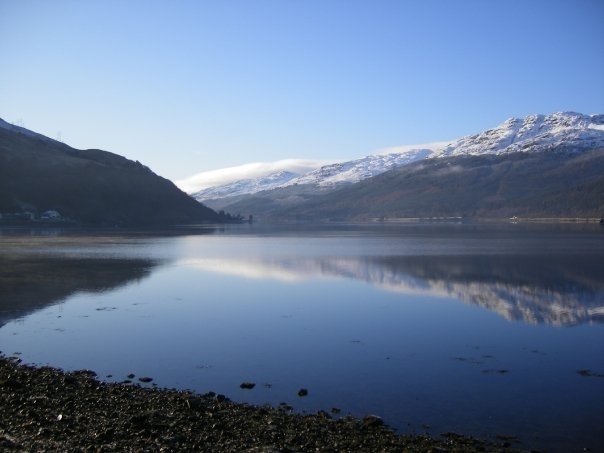 Arrochar has many other Activities to enjoy, loch cruises, golfing, para gliding sea plane trips, fishing, and many more. We are perfectly based being only a 45 minute drive from Glasgow Airport, a short drive south you will find Loch Lomond Golf Club, heading North the world famous Oyster bar, and the Rest and Be Thankful which is the Gate way to the North Coast of Scotland. A very warm Scottish welcome awaits all our Guests.